The Rebel Sweetheart. : Welcome Back, Park Jung Soo! ELFs, rejoice! Super Junior leader Leeteuk (real name Park Jung Soo) has been officially discharged from the army as of this morning, July 29. 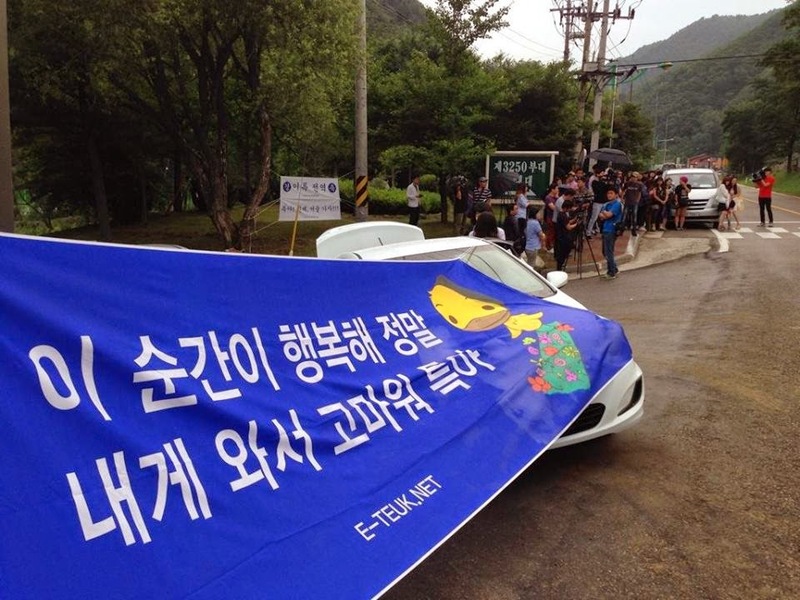 Leeteuk left the camp at Injegun, Gangwondo in a black SUV, skipping the usual press interviews and public greetings. The Super Junior leader wanted to return home quietly sans the fanfare, but promises to hold an official fan meeting in the weeks to come. Leeteuk believed to be inside that black SUV. Welcome banner for the Super Junior leader. 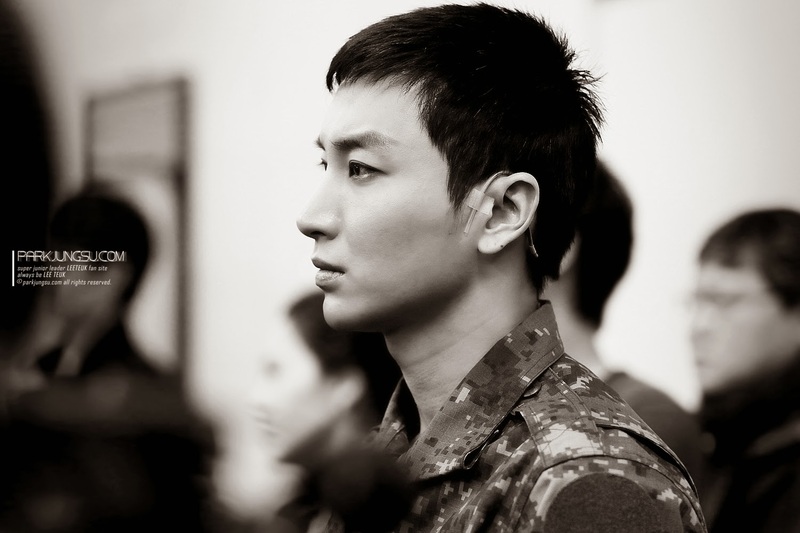 Leeteuk enlisted into the army on October 30, 2012 and entered the 306th battalion in Uijeongbu, Gyeonggido. He has finally been discharged after 21 months of military service. Welcome back, Park Jung Soo! We can't wait to see you stand on stage again!